I had a mini shopping spree at Whistles the other day. Well, with up to 75% reductions in the sale, how could I resist? Three dresses and a pair of shoes later, I was only £160 down. My best buy? 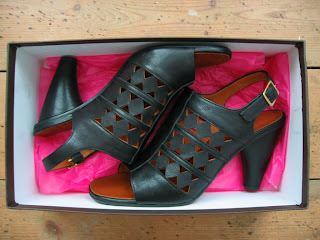 These Chie Mihara shoes - reduced from £195 to £50. Their zigzag cut-out detail is right on trend with this summer's gladiator sandals. And I love how they ooze plenty of attitude. I feel fierce, aggressive and empowered when I'm walking tall in these! Since Jane Shepherdson took over as chief executive at Whistles (following her departure from Topshop), the brand has slowly but surely reasserted itself on the high street. Previously, I would have shopped in Whistles for pretty tea dresses, but now the label offers new-improved design credentials, with pieces that are more confident, more stylish and more designer-led. One angle of Whistles that's still going strong is its support of other designers. Shopping there is like visiting an exclusive boutique, with brands such as Sass & Bide, Velvet, Won Hundred, Unconditional and Alex Monroe stocked alongside Whistles' own label. Which brings me back to Chie Mihara. This Japanese designer focuses on design, comfort and quality - and I could tell the minute I slipped on her shoes. 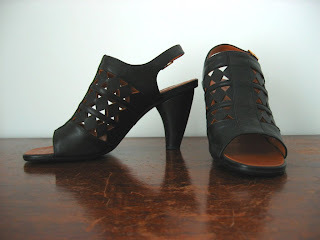 Thoughtfully designed and well-made, my sandals are so comfy they make wearing heels a pleasure. At just £50, I think I've bagged myself an excellent bargain. 1) Many times foreign tourists enter a European country with lots of Euros and they usually end up spending on very expensive fashion material which, like your blog says, could be bought elsewhere more economically. Is there any guide to help them shop economically? 2) Earlier, you used to combine two three very cheap (in price) things to make up one very beautiful piece of dress. Would love to see such again. 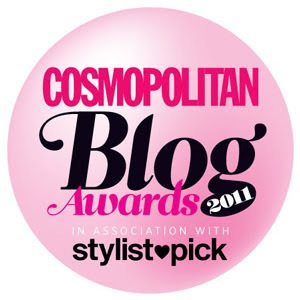 :) Thanks for the amazing blog.